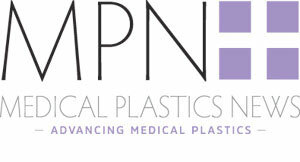 Modern Plastics discusses its Hostaform acetal copolymer (POM) and its use within medical instruments and orthopaedic sizing trials. Hostaform, medical grade, from Modern Plastics possesses a linear structure with a highly crystalline quality that aims to provide a variety of characteristics including outstanding wear, long-term fatigue, toughness and creep resistance as well as excellent resistance to moisture, solvents and strong alkalis. Hostaform raw materials (rod and plate) are opaque and available in a wide array of standard colours and rod diameters. Although disinfectants and germicides generally have no effect on Hostaform, acidic solutions can degrade the polymer. The recommended sterilisation techniques for Hostaform include ethylene oxide gas and steam autoclaving. Medical grade Hostaform offers many advantages such as being lot controlled and traceable and the resin complies with FDA regulation 21 CFR 177.2470 and 21 CFR 178.3297 for colourants. Additionally, the resin also meets the requirements of USP Class VI specifications and the material is stress relieved and laser markable. Hostaform is suitable for medical applications in coloured rods and most rod diameters for medical instrumentation and orthopaedic sizing trials. It could also be used in provisional trials, instrument handles and medical device components. The copolymer allows machined products to retain dimensional integrity, maintain stability in water and most chemicals at elevated temperatures. Modern Plastics is ISO 9001:2015 and ISO 13485:2016 certified.